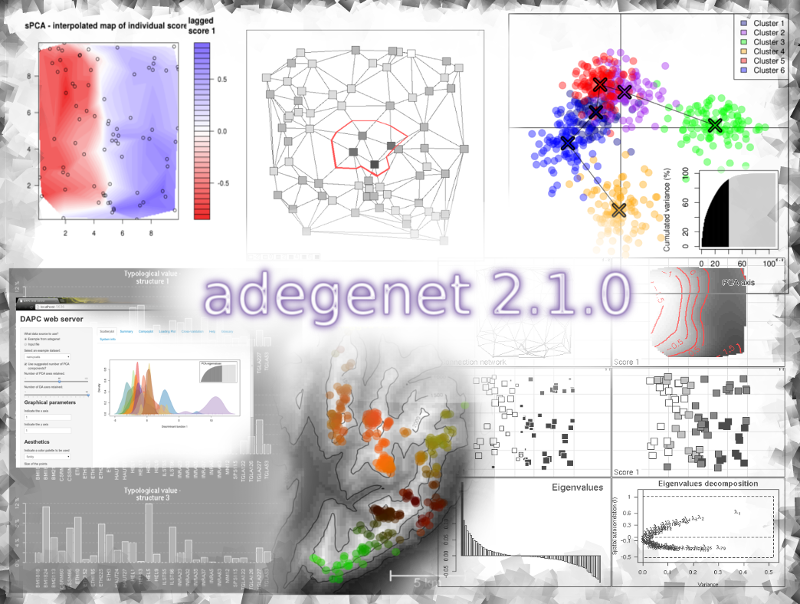 adegenet is an package dedicated to the exploratory analysis of genetic data. It implements a set of tools ranging from multivariate methods to spatial genetics and genome-wise SNP data analysis. It is developed on Github by Thibaut Jombart, Zhian N Kamvar, Caitlin Collins, Roman Lustrik, Marie-Pauline Beugin, Brian Knaus, Peter Solymos, Vladimir Mikryukov, Klaus Schliep, Ismail Ahmed, Anne Cori, Tobias Erik Reiners, Federico Calboli and Péter Sólymos, and officially released on CRAN periodically. Suggestions, comments and contributions are most welcome!